You'll be £19.99 closer to your next £10.00 credit when you purchase The World of Mummies. What's this? Mummies are not just a phenomenon of ancient Egypt. Mummified corpses have also been discovered high in the mountains and the deserts of South America, in the ice of Greenland, in European churches and graves, in North European swamps and in Asia. The oldest mummies are nearly 9,000 years old while some of the most recent mummies include Lenin and Evita Peron. The distinguished mummy-researcher Albert Zink explains the different processes that conserve the human bodies in either a natural or artificial way. Zink guides the reader to the find spots of famous mummies like Ötzi or Tutankhamen. He also presents lesser known mummies such as Juanita or Lady Dai, making his book an extensive reference work on the subject. The text is accompanied by very clear photographs, often in colour. Hopefully English versions of more books like this will be available soon. 'Mummies possess an incredible power of attraction,' writes Albert Zink in his introduction to this slim, profusely illustrated, highly readable and beautifully produced book. 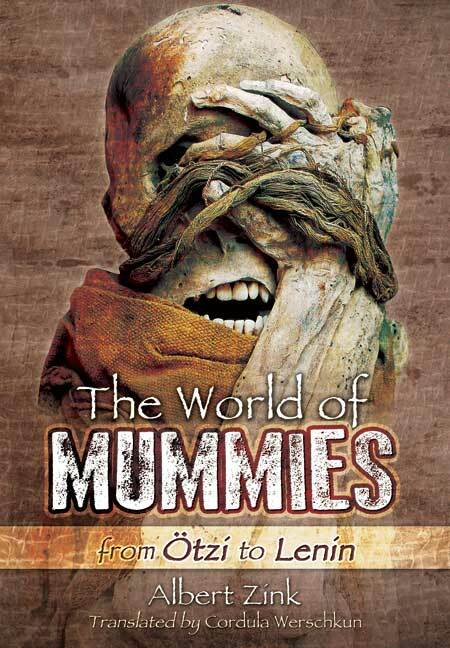 It's an all-you-ever-wanted-to-know-about mummies-but-were-afraid-to-ask approach which seems to work for all ages. I read though the book with interest and then so did my children, aged 5, 7 and 9; the page -turning accompanied by lots of oohs, aahs and the occasional, "eugh!". I even caught my wife reading it and she NEVER picks up a book. I think our volume is going to be well-thumbed over the years, and my daughter is even taking the book to school today to show her class. If the British Museum gets it into its shops it should fly off the shelves. This reviewer heartily recommends this for children, daddies and mummies everywhere. Dr Albert Zink is an associate professor in Munich. Since 2007, he has directed the Institute for Mummies and the Iceman in Bozen. He is chairman of the Society for Anthropology and known for numerous TV productions and appearences.